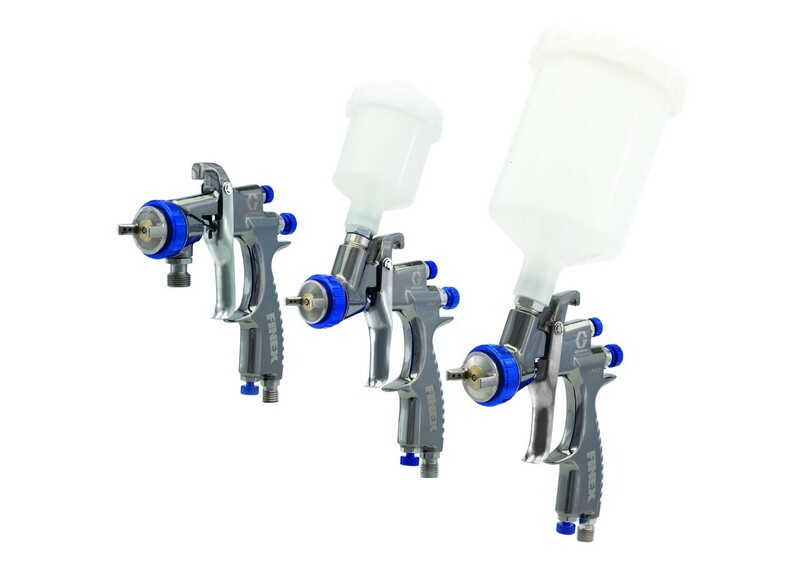 Well-balanced and lightweight, the Finex gun design offers a more affordable way to spray. Available in either pressure feed or gravity feed guns options, and HVLP or conventional technologies. * Produces 10 psi (0.07 MPa, 0.7 bar) spraying pressure at aircap.